We were marching around in our marmalade shoes, and the peppermint rain washed all our troubles and blues. 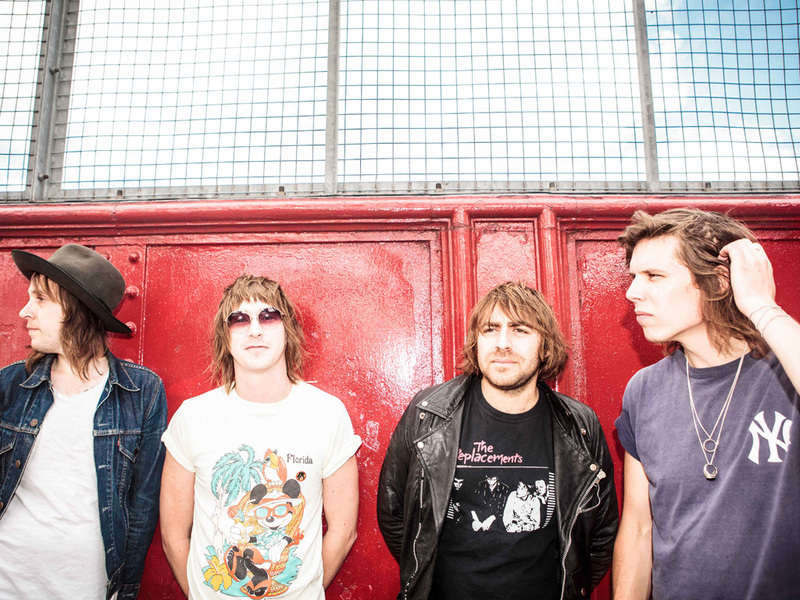 Renowned for pumping out high-energy jams & ferocious live shows, Melbourne genre benders The Delta Riggs returned home from their much-talked about, maiden UK & European tour, in time to unveil their rattling and rapturous new single “The Record’s Flawed”. This intoxicating anthem is the perfect exemplar of the boisterous, off the cuff and tripped out party atmosphere that fans can expect from the band’s curiously-titled second album, ‘Dipz Zebazios’. Promising a huge progression from their acclaimed 2013 debut (‘Hex.Lover.Killer’), The Delta Riggs’ new full-length will highlight the ambitions of a group unwilling to sit at idle. A sprinkle of sonic influence can be heard the likes of English giants Kasabian, psych icons Primal Scream and art rock mainstays Divine Fits – all of whom the band have toured with in the past 18 months. Yet ‘Dipz Zebazios’ rhythmic palette draws from even more disperate worlds, taking inspiration from sources as startling as The Roots and Outkast, recreating modern sounds with purely analogue techniques and instruments. “It’s meant to be fun”, chuckles frontman Elliott Hammond. Whilst the new sounds and approaches show depth and a willingness to push their songwriting to new places, they’ve maintained the core elements that makes them such a special live force. In-line with their ethos of capturing a true moment, DZ was tracked live over just 2 weekends, once again self-produced by the band & engineered by long-term collaborator Reyne House. Hammond admits “It’s a definite sonic shift for us”, although he adds “it’s also something that we wanted to do to challenge ourselves and in turn, those who might not expect this from the band”.